Sprayed polyurethane foam is applied to roofing, walls, and below flooring as a liquid, expanding approximately some 100 times its original liquid volume in just seconds to provide a flexible blanket completely filling voids, cracks and crevices as well as providing an air-tight, weatherproof membrane for the roof, walls, etc. The foam dries in seconds following application and fully adheres to the substrate. The versatility of the polyurethane foam lends itself to on-site applications. Residential, commercial, and industrial constructions are all candidates for polyurethane foam applications. The foam adds strength to metal and wood stud cavities due to excellent adhesion and strength-to-weight ratios. 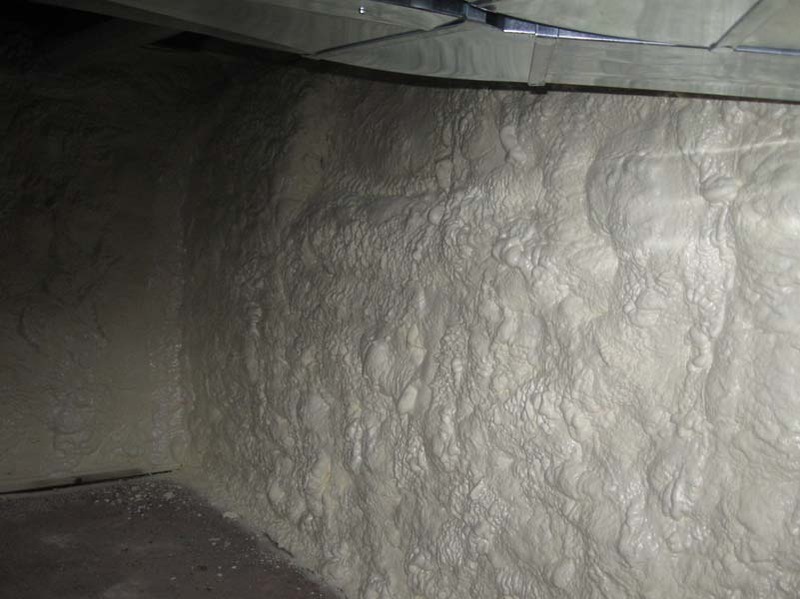 Spray foam is a polyurethane product created from the chemical reaction that results when an isocyanate (“A” component) and a polyol (“B” component) are mixed together with cross-linkers. The polyurethane foams are formed when mixed together by the process of simultaneous polymerization and expansion. The gas for expansion is primarily carbon dioxide C02 formed by the reaction of isocyanate and water. 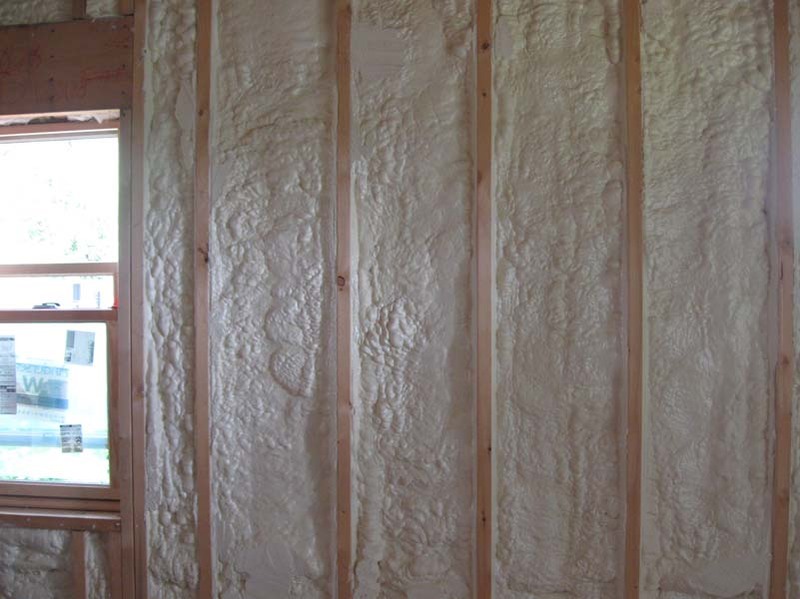 Thus, no VOC’s, HFA’s or HCFC’s are used and no formaldehydes are present, therefore our spray foam can be classified as water-blown insulation foam. Until now, the polyols used in polyurethane production have been made almost entirely from petroleum derivatives.